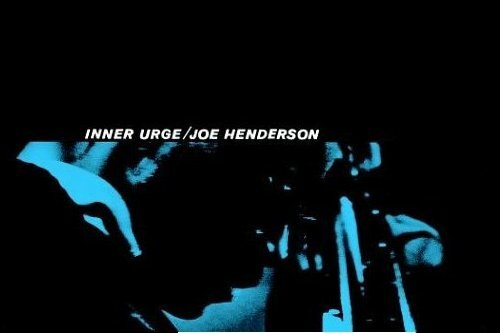 Joe Henderson is one of my favourite jazz saxophonists. He’s has a very emotional, exploratory, and intense sound. He played as a leader and sideman with great musicians such as Herbie Hancock, Freddie Hubbard, Lee Morgan, Kenny Dorham, and many others; and recorded for labels like Milestone and Blue Note. As I mentioned before, the first time I heard Henderson playing was in Hubbard’s Straight Life album. After that, I ended up finding the album Inner Urge while looking for some new albums to buy at Stockmann, in Helsinki. I lost track of how many times I listened to this album after I bought it. I think it was pretty much the only thing I listened to for at least a whole month or so. The sidemen: McCoy Tyner (piano), Elvin Jones (Drums), and Bob Cranshaw (Bass). The first two were part of the amazing Coltrane quartet that recorded the masterpiece album A Love Supreme a few months later. Maybe for this reason, Inner Urge has this sort of Coltranean, deep, explorative atmosphere. Maybe this is why I love this album. My favourite tracks are Inner Urge and El Barrio. The former is a direct reference to Coltrane sound. It’s a mysterious melody, some serious stuff. The latter is a Latin-influenced tune with a slow tempo — which brings a more exploratory mood to the group. The album also has Isotope, which became one of Henderson’s classics. Special mention goes to Elvin Jones who’s at his best in this album with the complex, rich, imperfectly beautiful beats. You can find reviews of Inner Urge at PopMatters, AllMusic, and AllAboutJazz. Happy listening!